The main work of the Sisters of the Curé of Ars is to pray for priests, deacons and seminarians, and also for an increase in priestly and religious vocations. 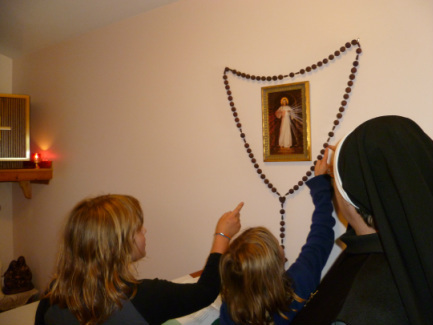 The Community is also engaged in living the spiritual and corporal works of mercy by teaching the young and old and working with the elderly and underprivileged members of society and also in giving retreat days. We strive to follow the example of Our Blessed Mother in living a simple life of prayer, penance and service for the glory of God. "It is not the long or beautiful prayers that the Lord looks for, but rather the ones that are prayed at the core of one's heart.....with great respect and a true desire to please God."